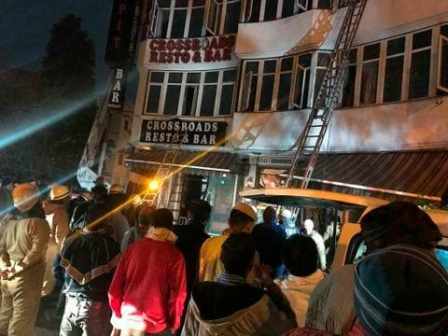 A massive fire that broke out at 4.30 a.m. on Tuesday inside a four-storey hotel in Delhi’s Karol Bagh area has claimed 17 lives, including one child and three women, officials confirmed. Delhi’s top fire officer Atul Garg said that the fire department received a phone call informing him about the fire at around 4:50 a.m. local time. The fire-fighting operation carried out by more than 100 personnel of Delhi’s fire department lasted around four hours.